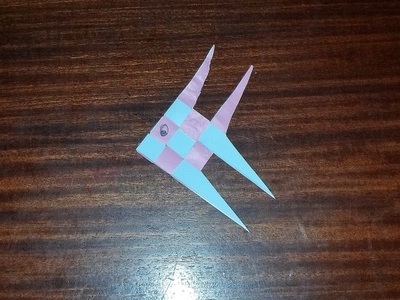 A cute fish that's made entirely from woven paper. 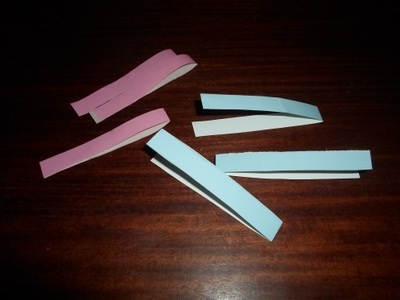 Cut out six long thin strips of paper, that's three strips in each colour if your using two different ones. 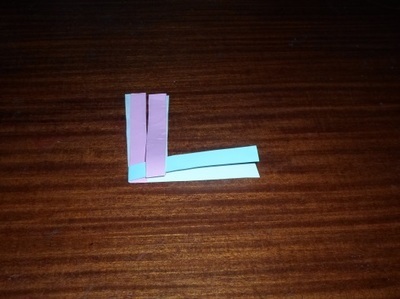 My strips were around 1cm by 14cm, but the fish only ends up half the size of the initial length, so these sizes are for quite a small fish. 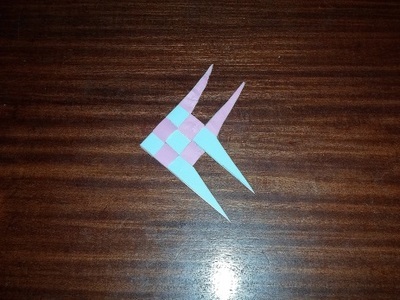 Fold the pieces of paper in half. 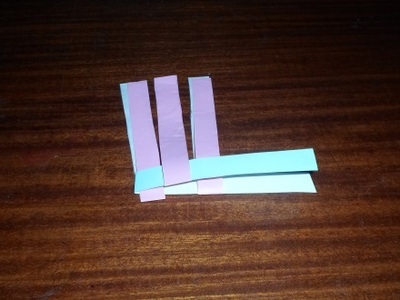 Insert two different coloured strips into each other at right angles. 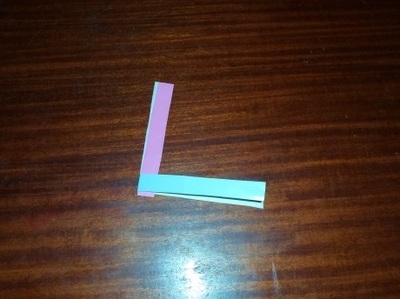 Place another of the same colour next to one of the first two, but on the other arm of the folded strip. 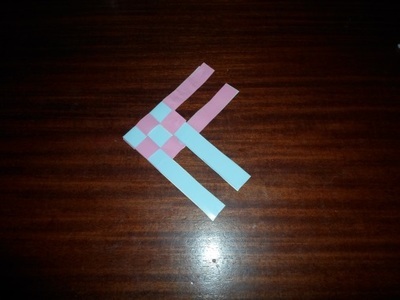 Place the third strip of that colour next to these, on the original arm on the paper strip that's forming the base. Weave anther strip of paper horizontally through the loose ends. 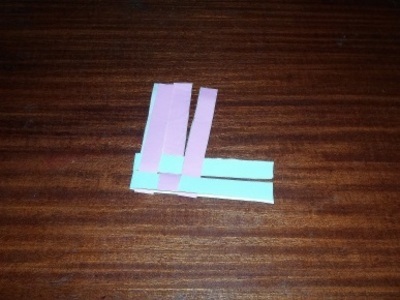 Make sure it is initially around an arm of the first vertical strip, but afterwards you should collect the two arms of this piece together and weave as normal. Weave the third strip through. 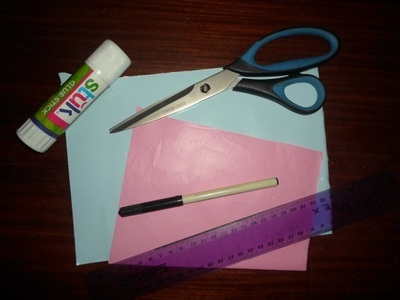 Glue all the arms closed where they extend from the woven section, then glue the strips down wherever necessary. 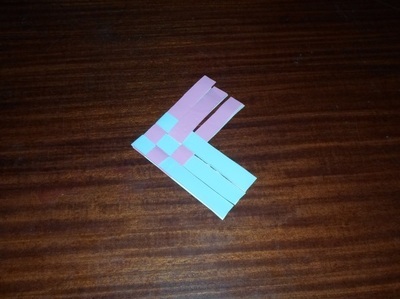 Cut the middle strip of each colour off in line with the end of the square. 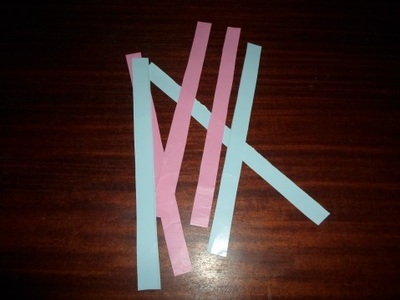 Cut the other strips diagonally, from the outside top corner to the base. Draw on an eye (the fish is reversible so you can do one on the other side too).